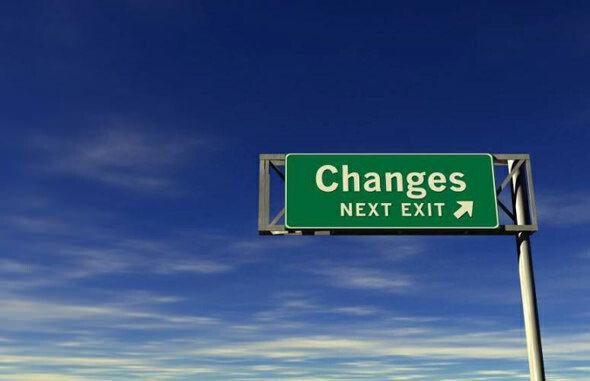 Ethiopia: Change has many paths; let’s try more than one! We Ethiopians have been seeking big changes for decades. We had our chance in 1974 (1966 EC) when we got together in millions to change the feudal system. Unfortunately, that victory was snatched by the brutal Derg and the people were not the full beneficiaries from the change. But the Ethiopian people continued their struggle for economic and political freedom. followed and still are following can be represented in the following four sequential phases. Phase 1: The crafting of visionary and realistic program, initiating a viable organization, presence of leadership team that has integrity, foresight, insight, and democratic value etc. Phase 2: Political activity that would involve millions around the political program, practical tactics and strategies, conducting rallies and demonstrations, forming alliance with other organizations, conduct the struggles etc. Phase 3: Replace the incumbent with no or minimum bloodshed, rearrange /reorganize the Government, create harmony among opposing groups etc. Phase 4: Start to implement changes, assure freedom and democracy, maintain law and order, unleash the engine of economic development, let people participate in their own development expand education, health, communication etc. To be successful all four phases should be completed successfully in that sequence. That is, each previous phase has to be successful before moving on to the next. It is easy to get it wrong too. For example, the current ruler in Ethiopia completed all three phases but messed it up at phase 4. On the other hand, due to the repressive political reality and its own weaknesses the opposition camp couldn’t even pass phase two successfully. A lot of things have to go right to reach all the way to phase 4. It gets even more difficult, to arrive phase 3 and 4 if the incumbent is repressive that wants to kill the movers and the movements. This is why we are where we are. Part of the problem is that the model assumes that every step in it will go smoothly step after step. The model also assumes that society is static and predictable when we know it is impossible to precisely anticipate the behavior of even few individuals let alone millions of people who need to be part of the change. And then, there are developments that emerge both within and outside of organizations resulting in an intended outcomes. In short, the model sees society as moving only in linear direction. That said, the model has merits as well. It can be a quick way to change society when it works (arrives at phase 4) and has people-first mind set. For this to happen, the struggle has to have vigilant stewards who make sure that every key task in every phase is fully completed and that there is high number of dedicated political workers as well as mass participation in millions. In the absence of these, it is advisable to have an alternative path or model that is complementary to it (not in place of it!) in order to push for changes. This alternative path to change will be more of evolutionary in nature. By the way, most enduring changes (be it natural or social) are evolutionary by nature. Now, the question is: What would the complementary path to change look like? Well, it starts with identifying the sources of social changes. A societal change comes from changes in fundamental societal interactions. Technological – Scientific- those interaction by which people extract natural and social laws to discover and apply knowledge and improve manufacturing, transportation, communication etc. Society advances forward if advances are made in the majority of the fundamental social interactions. Ideally a democratic state would facilitate these interaction and that is why people seek power through the process described in the four phase model above. In absence of a democratic and responsible government, how can we utilize these fundamental social interactions to bring progress to our nation? Or how does the alternative organized evolutionary change takes place? The answer is: it takes place through self-organization of citizens around those fundamental social interactions. Let’s look at them close. Society is a network of intelligent human beings who organize themselves around economic and social functions that are beneficial to them. Also, humans interact with each other, according to a set of rules and shared “values” or “norms”. Through these interactions, people self-organize to achieve their goals. Self-organization is the process by which patterns emerge from numerous interactions among members of a given group or organization. The interactions among the members are guided by simple rules. The simple rules are set by participating agents using information around them. Self-organized groups are entities formed by the will of the involved members without external influence. Self-organized groups are all around us. One common occurrence is the village soccer (football) teams or clubs that we see all around communities. We observe for example, sport clubs flourish in communities, neighbors, schools and engaging many people. Members join the clubs voluntary. In such clubs, children and adults learn skills from each other by participating. Club members learn by doing and from trial and error. In most cases, the learning activity takes place from peers without an assigned instructor or teacher giving lecture. By the same token, interest based associations can play important roles in advancing the fundamental interactions such as education, technology, health and good governance by making them grassroots events from which all participants learn from each other and improve. Self-organized grass-roots are effective because they are formed on participants’ interests. They are volunteer based. They are small and manageable, and they can be formed by anyone with a minimum guide. All this talk about self-organization and soccer teams is to suggest that we can advance our local economies, health care, education, science and technology as well as governance by forming citizen-initiated and self-organized local groups around these important endeavors. Once these local interest groups are formed and get going, there emerges the possibility of networking among similar interest groups first at local level followed by district level, then regional and etc. national levels. The benefit of larger and larger networks is that it opens opportunities for information exchange, know-how, experiences, and collaboration in resources. In its essence, in the end, development is performed and achieved by the people through these types of citizen initiated activities. Again, to repeat at expense of boring the reader, Self-organization is not a new phenomenon in Ethiopians. We have been practicing it in the form of sport Clubs, Kub, Idir, Debo, cooperatives etc. for centuries. What we need to do next is to expand the concept to include education (to expand the exchange of knowledge), technology (to improve existing technologies and develop new ones), economy (to expand economic activities and promote economic justice), health care (to practice hygiene and healthy behaviors), good governance (to practice democracy, justice etc. among themselves). We Ethiopians are in a better position now more than ever to do these things. There are more Ethiopian professionals more than ever both in and outside of Ethiopia who are skilled with best practices in Economics, Education, Technology, Health care and good Governance. If those professionals lend their know-how and share best practice skills just an hour a week to the self-organized entities, they will make big differences. In addition, Ethiopians, especially the ones living outside of Ethiopia, also have better financial muscle now than ever. According to the World Bank Ethiopians send back home 3.2 Billion dollars a year in remittance. This is a third of the 11 Billion Ethiopian Government budget. If a fraction of this money is applied to the would-be self-organized groups, in ways that can help catalyze the advances of the citizens-driven development activities, a lot can be achieved in a short time which the Ethiopian government failed to do in two decades. By the way, the Ethiopian Government brags about development a lot; to extent of calling itself “a development government”. The fact is that true players of enduring development are the citizens themselves and they are denied that opportunity to participate in their own development. That is why the country’s development iv very slow. To close: At the end of the day, the goal of both the traditional (four phase) model and the self-organized model is to see Ethiopia that is free of poverty and injustice. It is not either or but it is rather both. So why not engage in both change models?